UPDATE (2015.12.31) - This method no longer works for newer versions of Git for Windows as they have changed the version of Msys that is being used. Rsync is a widely used tool to keep copies of files on multiple computers the same. It is considered a standard installed utility on most Linux distros today. There is currently no native version on Windows but thanks to several different ports you can get Rsync via Cygwin or MinGW. If you are like me you are windows developer by day but do development in multiple platforms on the side. I often find myself needing to move files between my Windows machine and Linux servers, as is the case when I make posts for this blog using Jekyll. I spend a lot of time doing development work in the command line shell. Even on Windows I prefer working with Git Bash, aka Msysgit, as my command line shell. 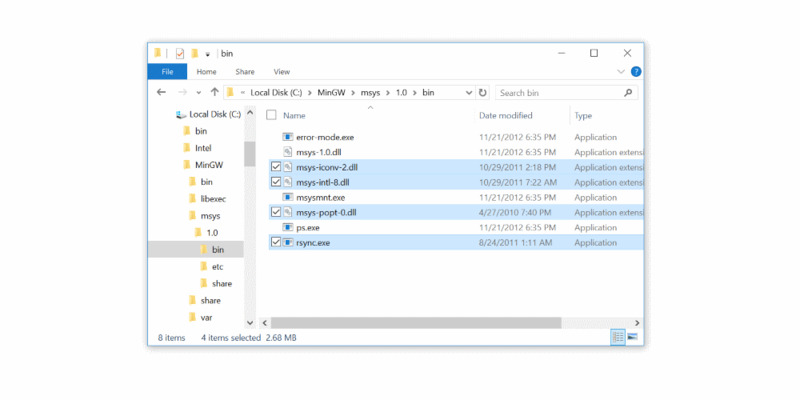 Msysgit is a stripped down copy of MinGW that includes several unix utilities that are required to make Git work on windows. Unfortunately, Rsync is not one of those utilities. 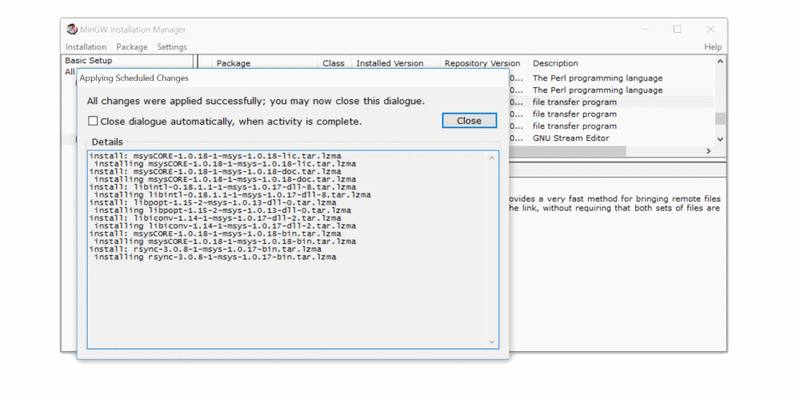 I will show you how to install Rsync onto your system so it can be used with Git Bash. 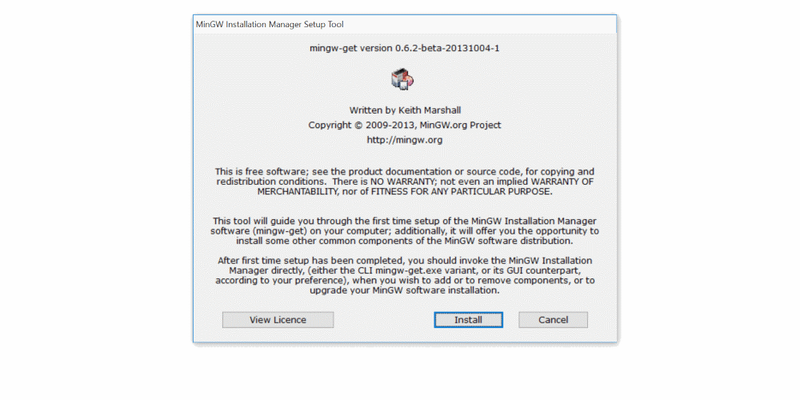 Download “mingw-get-setup.exe” from the MinGW SourceForge Project Site. Run the “mingw-get-setup.exe” and click the “Install” button. Keep the default settings and click the “Continue” button. 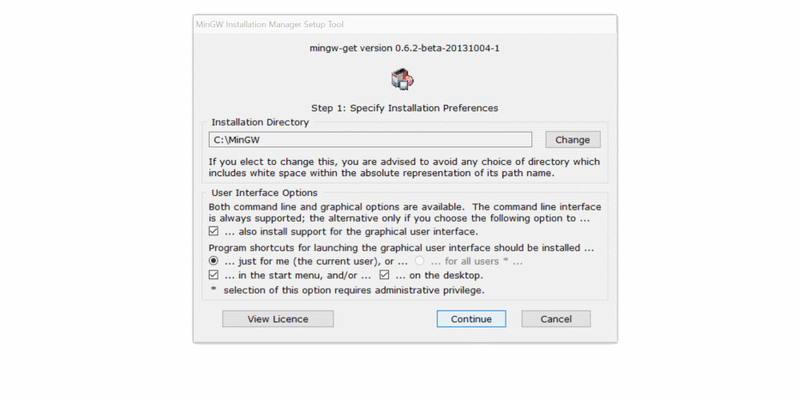 Wait for the installer to download and setup the MinGW Installation Manager and click the “Continue” button. 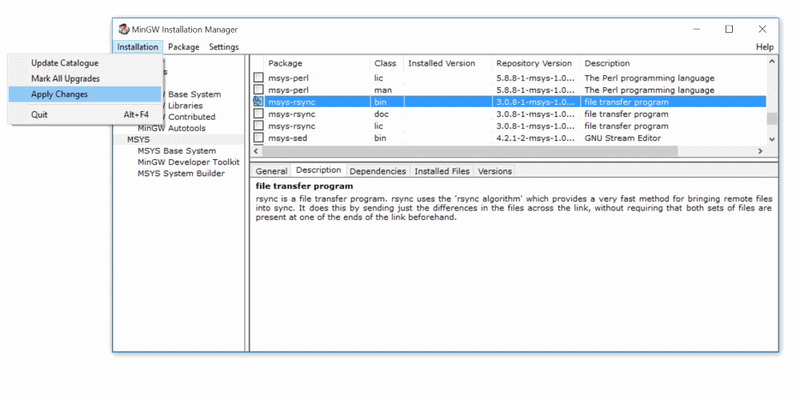 When the MinGW Installation Manager starts up navigate the left side options and select “MSYS”. 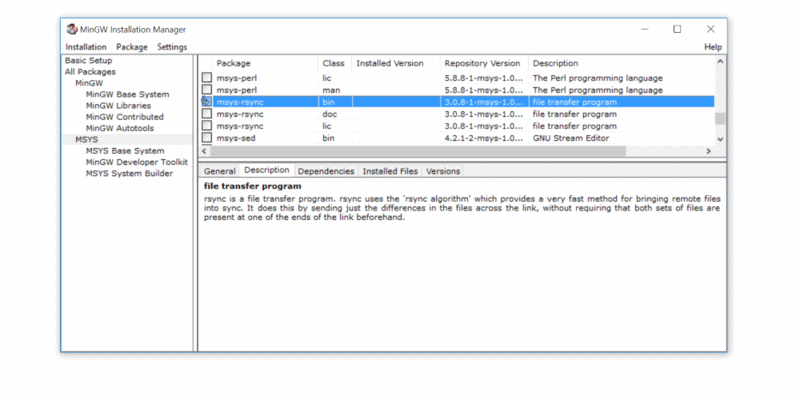 Then locate and select only the “msys-rsync” bin package. From the Installation drop down menu select “Apply Changes”. 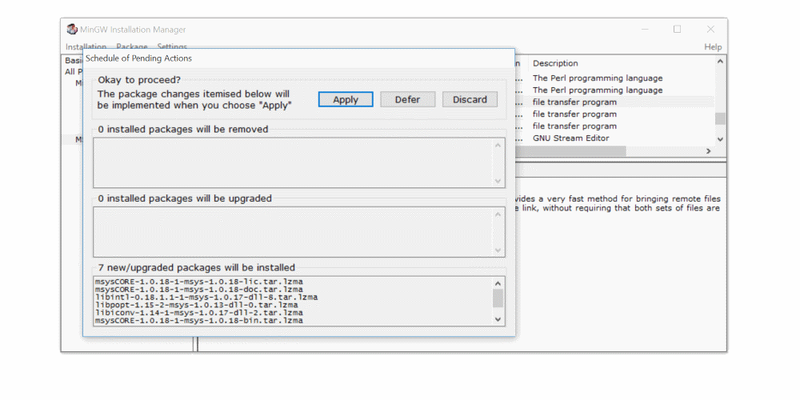 Click the “Apply” button to start the install process. Verify that it successfully downloaded and install Rsync. Once you have copied those files and tested rsync you are free to delete the entire MinGW folder from your computer.